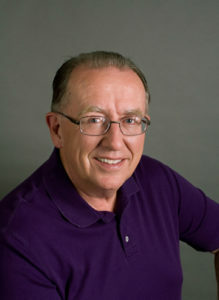 Patrick E. Craig is a lifelong writer and musician who published his Apple Creek Dreams series through Harvest House Publishers in 2011. His current series, The Paradise Chronicles, includes The Amish Heiress and The Amish Princess, with The Mennonite Queen coming soon. Patrick is represented by the Steve Laube Agency. Patrick: Well, that’s a good question. My basic genre is Amish Fiction, but I do not write light-hearted romance dressed up in Amish clothing, where everything turns out peachy just because the characters are Amish. Growing up, I was an avid reader of Zane Grey, Edgar Rice Burroughs, Agatha Christie and J.R.R. Tolkien, among many others. Since I am one of six male Amish authors, I have felt a responsibility to bring the male POV to my Amish stories. So I have written stories that include adventure, suspense, history, drama and danger, all of which are experienced by desperate people in desperate situations. Once I have that part of the story going, I have to weave it into a romance where men are real men who protect and cherish their women, and women are noble and strong, not less than men but feminine heroes. As you might guess, this takes a great deal of focus. Patrick: I’m a morning writer, so I am usually up by 6 a.m. writing. I still work part-time, so I cram that into my day also. Patrick: I’ve had a man blown up by a hand grenade, an Amish couple killed by a train when their buggy is trapped on the train tracks, a mad woman who burns her own house down around her, a special forces guy who is killed in hand to hand combat, poison, assassination. You name it, I’ve written it. Patrick: My current series, The Paradise Chronicles, was born out of my first series, Apple Creek Dreams. In that series, I wrote the story of Jerusha Springer in the first book, A Quilt for Jenna, and the story of her adopted daughter, Jenny, in the second, The Road Home. I was planning on doing the story of Rachel, Jenny’s daughter, in the third book, but I fell in love with the Jenny character and wrote the third book about her. So I had to start a whole new series to tell Rachel’s story, then I just went on to tell the story of some of the matriarchs of their family, all the way back to 1534. 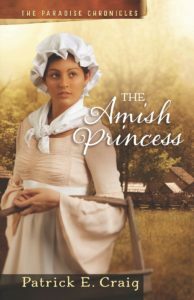 Those stories became The Amish Heiress, The Amish Princess, and the soon-to-be-finished The Mennonite Queen. Patrick: Amish people live in three or four main areas in the United States: Pennsylvania, Ohio, Indiana, and some places in between. So getting started was pretty easy. But finding the exact town and researching it so I knew something about the people and the location took a lot of work. I set my first series in a little town in Ohio called Apple Creek. To my surprise, when I was doing the location research, I discovered that my great-great-great grandfather was born and raised thirty miles from there in Independence, Ohio. Patrick: “How can you write suspense and action books about the Amish?” is one of the main questions I get. As I delved into the Amish culture, I discovered that they are people just like us, with real problems and real challenges who often find themselves in desperate situations. Another question is, “How did you find out so much about the Amish?” When I started writing Amish books, I was totally unencumbered by any knowledge of the subject. In fact, I started on a dare, when my editor challenged me to send him a one-sheet for an Amish quilting story. I did, and Harvest House bought it. So then I had a three-book contract and had never researched the Amish. All I can say is thank goodness for Google. In my browser bookmarks, I have dozens of folders for my stories and each one has literally hundreds of articles and references I found on the Internet. A tale of love, adventure and suspense set in the turbulent period surrounding the Revolutionary War.